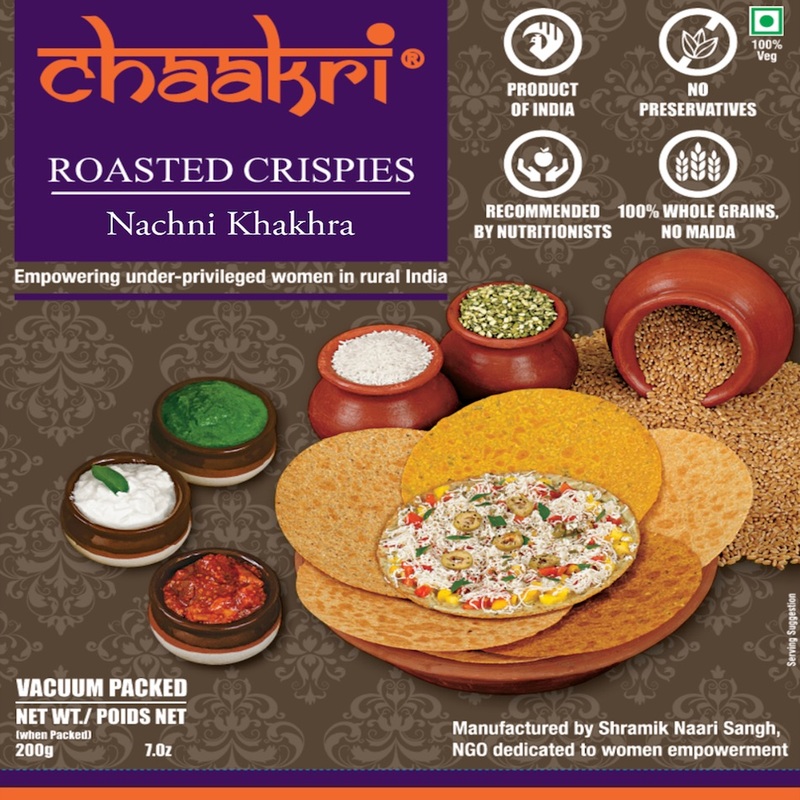 Shramik Naari Sangh (Sa-Ni-Sa) is a non-profit organization that represents a team of like-minded people who have come together from all walks of life with the sole objective of empowering the less-privileged women in India. We engage enterprising women in programs that utilize their skills and train them to scale newer heights, foster a sense of entrepreneurship and above all, create opportunities to attain financial independence. Our initiatives are based on the premise that the families of aware, skilled and independent women should not fall by the wayside just because the innate entrepreneurial talent of these women has not been channeled productively. This site solely provides information for our projects running in North America region. To know more about our various projects running in India, click the link below. To bond rural and tribal women who are committed to exchange their art, talent or skill sets in multi-disciplinary activities so that they can move together towards a promising and financially secure future for themselves and their families. To make a visible difference in the quality of life of less-privileged women by promoting sustainable development and build up an ‘inclusive’ society for economic growth and spiritual evolution. We now deliver Chaakri Khakhras to your doorstep anywhere in the United States. Very zesty and delicious flavors of khakhras! Can also be used as base for tostadas and pizza! 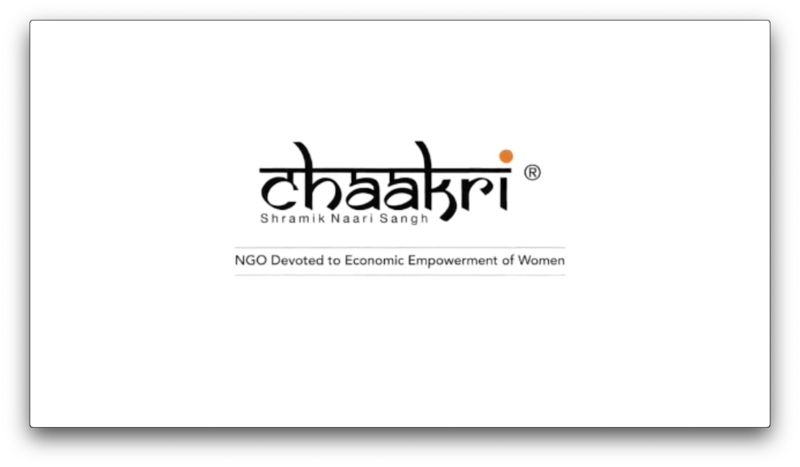 Chaakri is making a difference in the lives of numerous underprivileged women who would otherwise not have the means for a dinigified life. 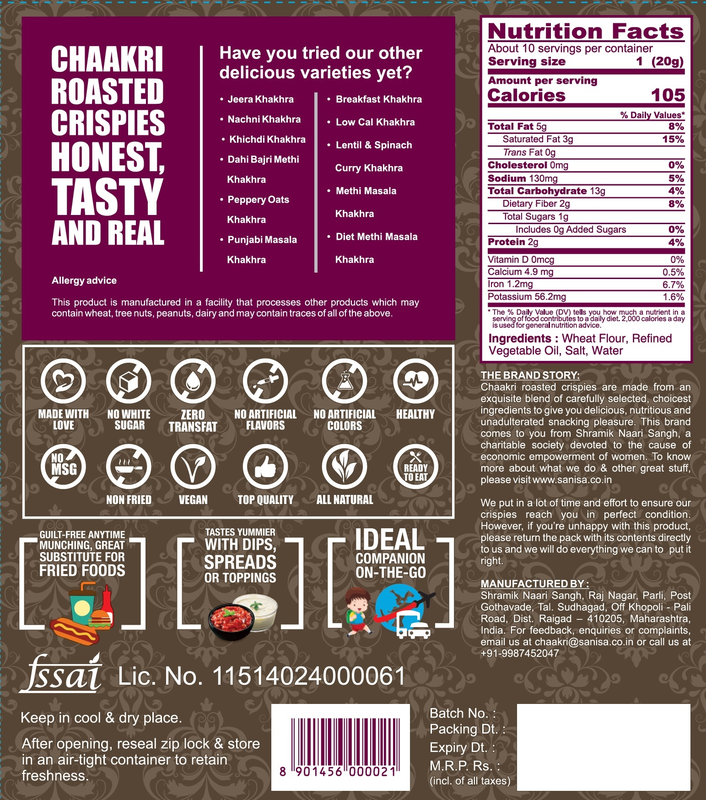 The Khakhras available in the USA are of superior quality and taste better than most brands. Please support this cause to make a difference. I am Devi Gupta, I have been working here for last 8 years. Initially I was at home and when I spoke to my husband about joining work he was reluctant, stating social backlash. But he suddenly fell sick and within a year his condition deteriorated and he passed away. No one from his family was ready to support us, they said we cannot look after 3 more people and you better figure out your life yourself. Every day I use to endure taunts and I just could not bear them any more. My father asked me to come over to their place, but they were already poor and I did not want to be a burden on them. I wanted to stand on my own feet and support my children. When I came and met everyone at Chaakri, I really felt happy after a long time. The workplace felt like a family and I never felt like leaving it. When I came and met everyone at Chaakri, I really felt happy after a long time. The workplace felt like a family and I never felt like leaving it. Ms Shruti takes great care of us just like a mother or a sister would. In the initial years we used to walk and come but now we have been provided with a pick up and drop off bus service which has been a blessing. Compared to the 1hr walk it now takes only 10 mins to reach here, so I can come here early and get that much more time back home. My elder son is now in college and the younger one in school. I am able to take care of all their expenses. I come from a remote village but everyone here made me feel at home, and filled up the void in my life which I was experiencing due to loss of husband and far away parents. I am blessed to have the blessings of Pappaji and support of Jyostna Aunty and Shruti madam. I do not even recall anyone raising their voice to reprimand someone if they made an error. It is an absolute joy to work here in the midst of such a nice and warm family. It is hard to believe that so many years have passed working here. We get to go on field trips twice a year to Pune and Mumbai. Every day they serve us free tea and snacks for refreshments. It has been such an amazing journey at this place. The work environment is very warm and it feels at home. Initially I used to roll Khakhras but currently I am the operations lead and train others. 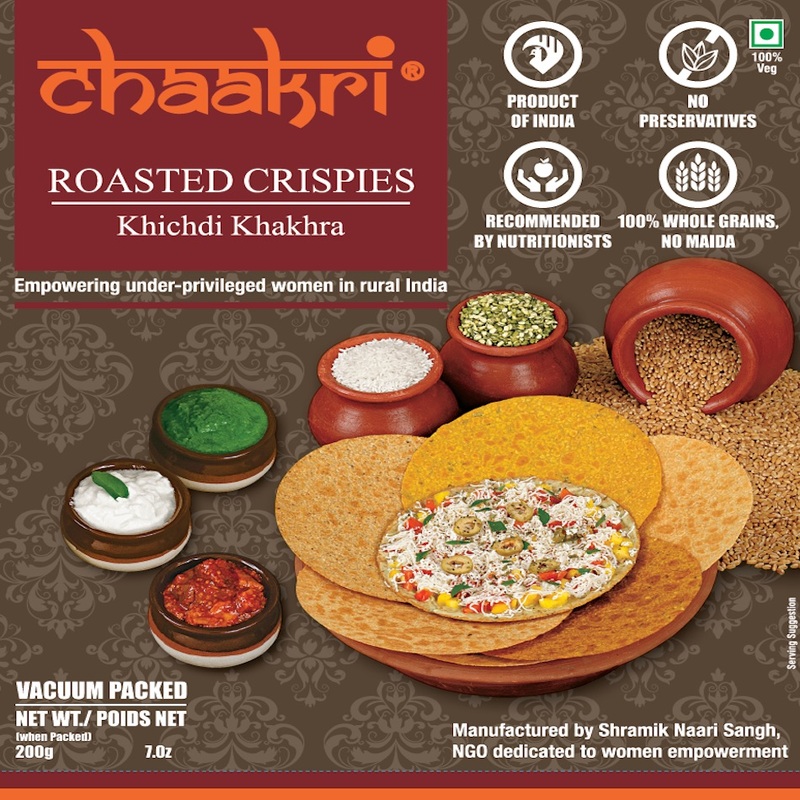 I go from village to village talking to other women about the opportunities at Chaakri. Pappaji's vision is to employ 1000 women. With the blessings of Pappaji and Param Krupaludev, I am confident that we will succeed in growing and fulfilling his vision.